I will post a personal reflection on her life in the future. 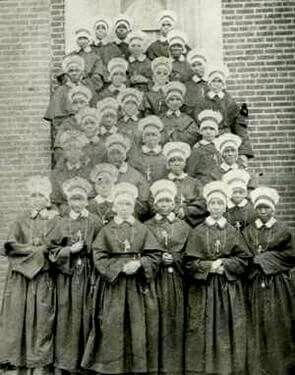 Oblate Sisters of Providence. I do not think Mother Lange is in this picture. Public Domain.